These are the words I hear nurses using to describe themselves and their work experiences. What is happening to our profession? Why are we feeling like this? It’s rough business, Hospital Nursing. I can only truly speak for ER nursing but I hear grumblings from all areas of the hospital. ICU nurses being charged “double occurrences” for being more than 10 minutes late to a shift, floor nurses being forced to take 4-5 extra patients…it’s not just ER nurses that are feeling this burden. Hospital nurses are drowning. All of us. What has changed in our profession? Even after 20 years, I don’t have the answer. I love my patients. LOVE MY PATIENTS. They often smell bad, have no manners, feel entitled, and wreak with non-compliance; but I love them. Most of us do. We take their abuse because for some reason we feel like we are making a difference in their lives. Is that why we stay in our jobs? Are we all hoping that one day we will wake up and everything will be fixed? Maybe…promises of change wall-paper our departments. It is interesting to me how those promises change to fit each individual nurse’s interests. If a nurse is interested in management, a supervisor position is dangled in front of them. If a department is short staffed and the staff is tired, the number of new hires is painted like a sunset scene in a field full of wild flowers. No matter the issue, if it is important to you, idle promises will be made just to placate the situation for the time being. Is it Magnet? I have written about Magnet before and my thoughts regarding the subject. (Feel free to thumb back through blog entries to see exactly why I don’t truly support what Magnet has become…I won’t delve into it again here) The short of it is that something that started out as a beautiful idea to help nurses develop into the super nurse hidden inside of them, has turned into an ugly shackle and chain for those of us in the trenches walking the walk of a bedside nurse. Is it that people are becoming sicker, and older, and more noncompliant? I am sure that is part of it. The truth is, that it is multifaceted. We must find a way to stand together against the evil in our field. We must stop this bullying. We must remind everyone that patients and nurses aren’t just numbers. Nursing is repeatedly on the top of the list of what are considered the “most respected professions.” WE ARE IMPORTANT. WHAT WE DO IS IMPORTANT. It cannot be duplicated. It cannot be mass-produced. Nursing is a science. Nursing is an art. What does a person do about feeling unhappy in the field of nursing, when it is absolutely the only thing they want to do? When they KNOW without a doubt that the reason they haven’t ever truly been provided with an “out” is because God put them on the planet to do EXACTLY what it is that they are doing? I guess the answer is that you simply attempt, time and time again, to regain your focus. Remember why you became a nurse. 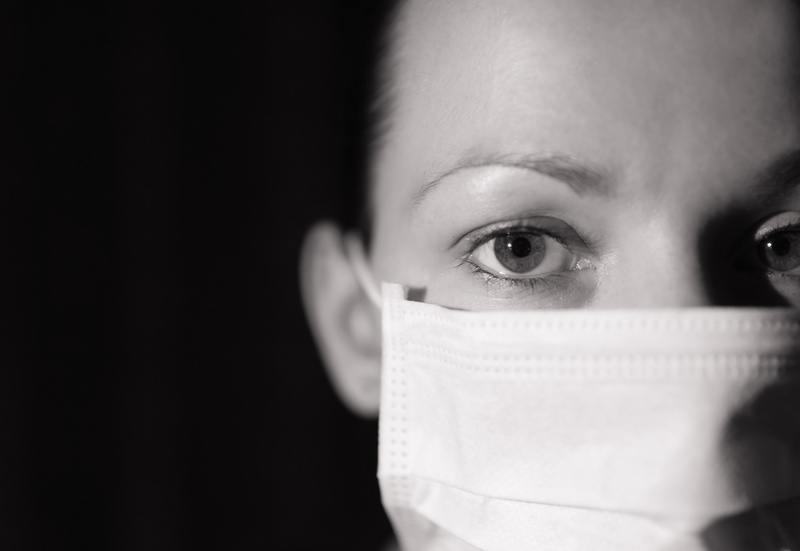 Firstly, dig deep inside of yourself to make sure that happy nurse that is ready to save the world can push through all of the negativity that has become our profession. Secondly, STOP BEING SILENT. USE YOUR VOICE. The world needs you. Healthcare needs you. NURSING NEEDS YOU. Be a positive light in an ocean of darkness. You are not alone. Together, we can bring daylight back into this long, cold, night. We need to do this, not only for our patients, but also for ourselves. Because before you know it, we will all be patients in need of a great hospital and a smart, caring, nurse who will advocate for our safety, our health, and our lives.